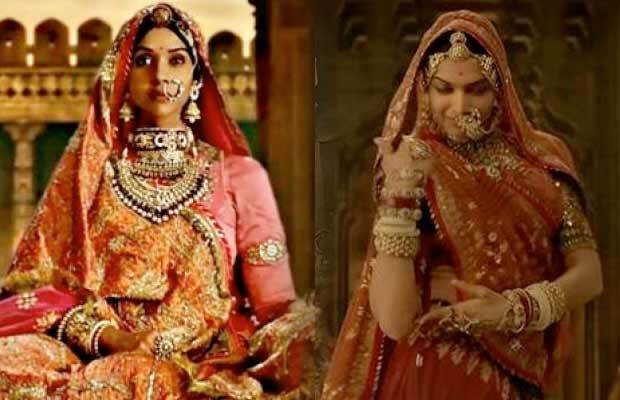 Mystery Behind The Woman In Deepika Padukone's Ghoomar From Padmavati Has Been Solved! Mystery Behind The Woman In Deepika Padukone’s Ghoomar From Padmavati Has Been Solved! The song Ghoomar from Padmavati starring Deepika Padukone has become a massive hit amongst the audience. Sanjay Leela Bhansali’s Padmavati has stolen the attention from all over since the trailer of the film has been out. Such fierce war scenes, such spectacular portrayal of characters, such beautiful and magnificent sets, all these are enough to tell how grand the film is going to be. All the main leads, whether it is Deepika Padukone, Ranveer Singh or Shahid Kapoor, have left an impact on the audience. And after the trailer, it is the first song Ghoomar from the film that has been making headlines. In just 3 days of its release, it has got more than 21 million views. People are loving the magnificence of the song as well as Deepika’s moves. Also, the grand set and Shahid Kapoor in the royal look is getting praises from the audience. But there was something about the song which left everybody wondering. A woman dressed up royally as a queen, can be seen in the song. She is sitting while Deepika can be seen performing the dance. Nobody knew what role the woman is playing in the film until now. The woman is none other than Rana Rawal Ratan Singh’s (Shahid) first wife, Nagmati. The role is played by the actress Anupriya Goenka, whom we have already seen in TV commercials and in a few Bollywood films like Arjun Rampal’s Daddy and Varun Dhawan’s Dishoom. Talking about the film Padmavati, after much delays, is finally going to release on December 1, this year. Deepika Padukone will be playing the role of Queen Padmini while Shahid Kapoor will be portraying the role of her husband Rana Rawal Ratan Singh. And Ranveer Singh will be seen as Alauddin Khilji in the film. Previous articleTop Gun For Tiger Zinda Hai! Here’s All You Need To Know About Salman Khan’s Deadly Machine Gun!